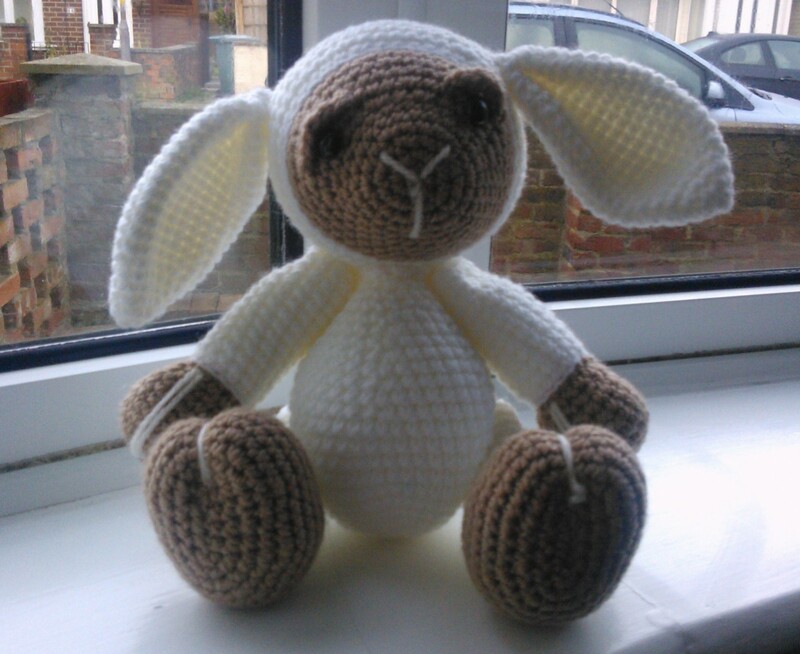 I haven’t blogged for a while, the reason was this was that my crafting has took a bit of a back seat to reading. I was loaned a book called The Magpies by a friend of mine – once opened the rest of my life took a back seat!!!! Once I’d finished she then loaned me another one of Mark Edwards’ books called Because She Loves Me. Both books are a fantastic read and I would definitely recommend them to those of you who have no desire to do anything else whatsoever!!!! Anyway back to the world of card-making. 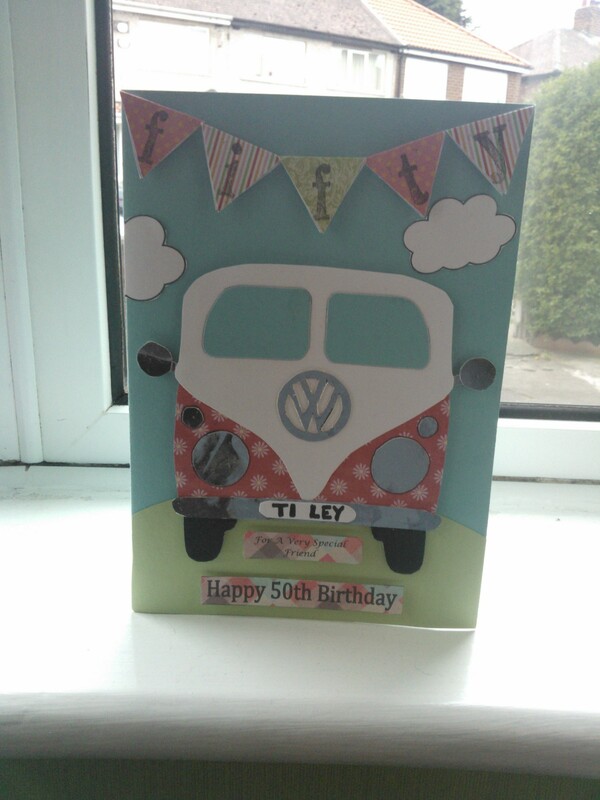 For my very special friend who is a mad fan of campervans, was there really any other card that I could make? In the 25 years that I have known her she always said that she would get a car with the personalised number plate of T1 LEY – she still hasn’t got this plate so her dream vehicle comes complete with her dream number plate. 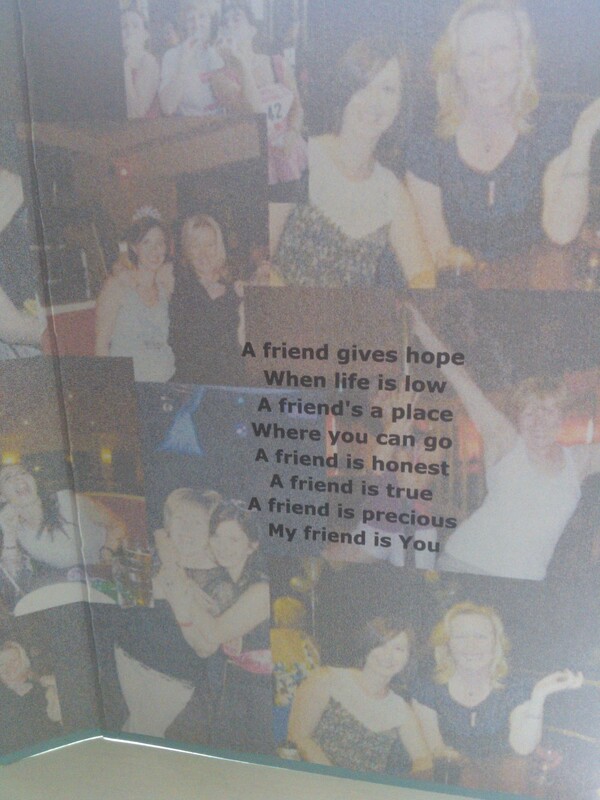 I also wanted to celebrate our friendship so inside I created a collage of photos, adjusted the transparency so I was able to print a special verse on it. I’m really pleased with how it’s turned out – it’s not perfect by any stretch of the imagination (again the lack of a die-cut machine meant my circles were less than perfect) but it captures out friendship perfectly and that’s what truly matters.